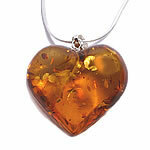 Dominican amber jewelry - 'Tears of Goddesses' that hold secrets of the past! that holds the secrets of pre-history! The amber jewelry and artefacts of the native Tainos was one of the many things that impressed Christopher Columbus when he first set foot on Quisqueya -- or Hispaniola as he later re-christened it -- besides the fact that he thought the island to be "the most beautiful place in the world". At the time, for the 'conquering' Spanish in general, the intriguing naturally occurring semi-precious substance held less allure than the gold deposits they soon ravaged. Amber has featured in the history of many races and been prized and even revered at different times. It was known as 'elektron' –- literally 'made by the sun' -– by the early Greeks, and as 'bernstein' by ancient Germanic races, which referred to the fact that it was used as a 'burning stone' which created a resinous incense as it smouldered. During the middle-ages it even became illegal to own amber as certain 'holy' crusading knights controlled its trade and prized it for its use in making rosary beads. 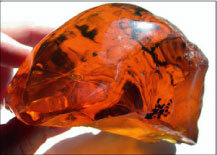 It took many years before amber was recognized as a potentially valuable resource in the Dominican Republic. In fact it was not until after the Trujillo regime ended, in the early 1960's, that trade in amber began to take-off. Eventually the Government of the day realized that large amounts of Dominican amber were being mined and shipped out of the DR without much benefit to the home economy. As a result of this a law was passed to ensure that any amber exported from the Dominican Republic had to be at least partially 'worked' or 'finished' by local Dominican craftsmen before it was allowed to leave the country. The biggest leap in the popularity of amber jewelry occurred, however, due to another unexpected influence. The release of the first of the massively successful 'Jurassic Park' genetically engineered dinosaur movies, made by Steven Spielberg, and actually filmed in the Dominican Republic. This 'world wide' celluloid success projected amber into the 'limelight'! The concept of releasing the DNA from the blood of dinosaurs once fed on by a mosquito encased in the intriguing fossilized resin, suddenly re-invigorated interest in the gem, and demand for amber jewellery has grown steadily throughout the last decade. 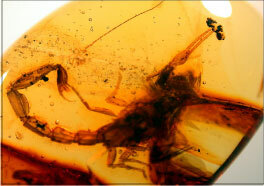 In actual fact many hundreds of species of extinct insects have been found imprisoned in amber. Amber also frequently hosts seeds and remnants of long-dead plant life. These preserved remains have assisted those scientists who study the Earth's pre-historic periods to recapture information that might otherwise never have been known. Dominican amber is some of the most popular on the world's market and just another example of one of the many amazing naturally occurring riches that makes the DR such a special place. 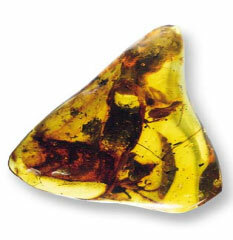 Although other sources of amber may be desirable for 'antiquity', Dominican amber often includes genuine prehistoric insects and therefore is much sought after. These days the finest amber jewelry now retails at many tens of thousands of dollars. Two unique gem's from one 'Jewel of an Island'! For those interested in finding out more about Dominican amber, and amber jewelry in general, whilst on vacation in the North of the Dominican Republic, a visit to the Amber museum in Puerto Plata is a must. What is amber? More facts and information. We also encourage you to take a look at the other semi-precious gem that is unique to the Dominican Republic. Larimar is an unusual form of 'blue pectolite' that is used to make beautiful jewelry. Formed through volcanic action at the 'beginning of time' (as far as the Isle of Hispaniola is concerned, at least!) We include more detailed information about Dominican Republic larimar, here. Some say that 'larimar' captures the very essence of the colors of the Caribbean Sea (in the lapping tides of which it was first discovered). Whilst 'Amber' has been thought in past times to be the very 'juice of the sun'! So, Why not make sure you treat yourself to jewelry featuring a piece of each gem as tangible memories of your time in the 'sun and surf' of our beautiful island home?